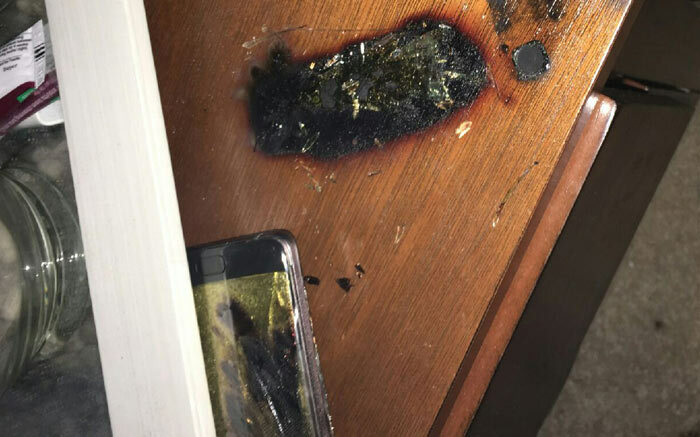 On Thursday we reported that replacement model 'fixed' Samsung Galaxy Note7 handsets were bursting into flames. There was a particularly dangerous and public incident where a new Note7 spontaneously combusted, as passengers were readying for take-off. Thus Southwest Airlines flight 994 from Louisville to Baltimore was delayed and Samsung Galaxy Note7 dangers were in the headlines again. Taiwan: A 26-year old was walking her dog when her Note7 exploded in her back pocket (Saturday). Yonhap News has tallied eight cases like the above but doesn't provide a detailed breakdown. Embedded above is a video news report concerning Tuesday's incident. It details an interesting side story that suggests a text-message slip-up from Samsung. 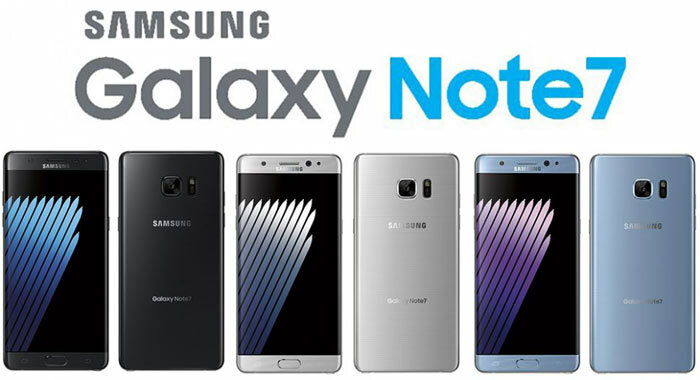 According to reports from both Reuters and Yonhap News today, Samsung has suspended production of Galaxy Note 7 smartphones. Sources speaking to both of these sources indicated that the drastic step of stopping production of this smartphone model had been taken. In a statement to shareholders via regularity filing Samsung said that it was "adjusting" shipments of Note 7s to allow for inspections and stronger quality control due to some devices catching fire. It is likely that Samsung will follow up with an official consumer-facing statement soon. Seriously, how does something like this happen? This isn't a revolutionary new technology, why is it so hard? What I don't understand is why they only suspended production now. They should have suspended the moment they realised there's a problem and find a new battery supplier. And there goes Samsung… Almost ripe enough for something like “Notegate”… Ahah. No but it's an explosive technology being pushed to it's limit apparently. It's Samsung. Samsung is a large company that has now obtained the glory of being too big and, if you look back, it's been like this for awhile. My first incident with Samsung, other than a couple of WinMobiles, was the Samsung 7 Slate. We're talking about a tablet that cost over £1000! Straight away you could tell that there was going to be an issue, with early reports suggesting a screen issue. Mine arrived and, after a few days of use the screen glass started to ‘move away’ from the actual casing. ALL of them did it. Samsung just replaced the units. In the U.K., initially, the issue was ignored. Same stuff with their really thin, super expensive laptop at the time which featured terrible or failed wi-fi. Samsung is far too big to actually give a stuff. Until now. If it were not for the press they would not have stopped production and this, ladies and gentlemen, is the way business works. Sites reviewing these items are paid to ignore various things (the iPad pro battery problem wasn't posted on Engadget or The Verge). Who do you trust? I trust no review site or individual that can be paid. Return your phone now. Make Samsung PAY for this situation which should never have passed testing.